If you keep coming up empty handed when searching Ford dealers in the Milwaukee area for just the right car, there is only one thing to do now. That is to make the short drive from your Ford dealership in Milwaukee to Ewald’s Venus Ford. There is no need to keep searching for new and used cars for sale in Milwaukee and get discouraged. Here at Ewald’s Venus Ford, we have a large selection of new and used cars for sale. At your Ford dealership near you, our selection of new and used cars for sale should leave no doubt in our mind that you will find the perfect car. Not only are we confident that you will find a car for sale that fits your lifestyle, but because of the variety, it should fit your budget too. We have everything from used cars for sale to new Ford cars for sale at our Ford dealership near you. So no matter what your needs are you are sure to find the right car for sale near you to meet your needs! If it is Ford used cars for sale near you that you are after, you will feel like you hit the jackpot when you come to our Ford dealership. We are committed to providing you with exceptional customer service and an outstanding selection of used Ford cars for sale. We have many models and body styles of used Ford vehicles. We do our best to make it easy for you to find a used car for sale near you that best suits your style and your budget. If you are looking for style as well as something economical, we have the Ford car for you. That is the stylish Ford Fusion car for sale. The impressive used Ford Fusion for sale is full of features both inside and out that you will not want to miss. Like the fuel-efficient I4 Hybrid engine on this Ford car for sale. With an incredible MPG rating, you will find yourself cruising right by the gas stations without worry. The fuel economy on this used car isn’t the only thing worth mentioning. You will find many creature comforts as well. Such as keyless entry, Ford SYNC, and more. Like steering wheel controls. 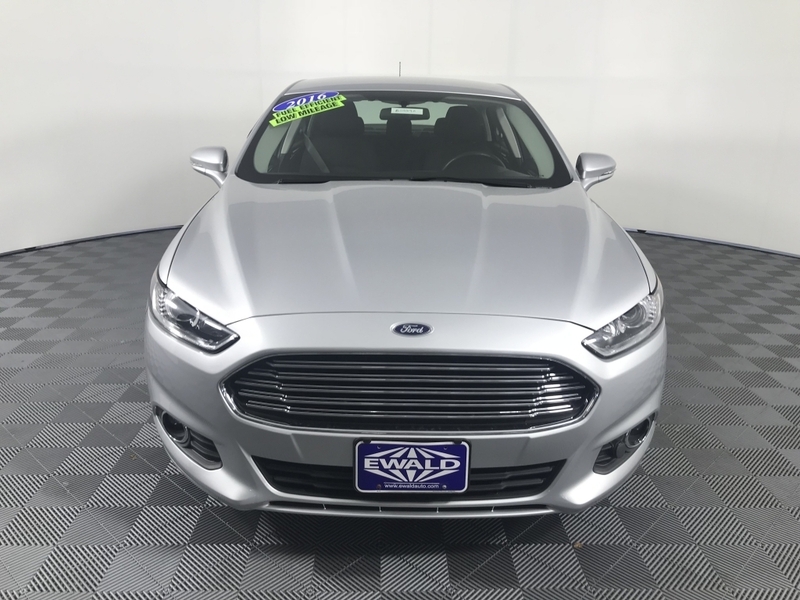 No more taking your hands off of the wheel to change radio stations or to turn the volume up or down when you buy this Ford Fusion for sale. If a used car for sale, like the Ford Fusion, is not what you are after come and see one of the many other new and used cars for sale near me. Come to your Ford dealership in the Milwaukee area today. Take a test drive in one or more of our used cars for sale at your Ford dealership in Wisconsin. Ewald’s Venus Ford has a website that makes it easy to search for your next vehicle. You can check out our inventory, get an estimate of what your vehicle is worth, get pre-approved, and more. Let us help you get one step closer to driving home in the car of your dreams today. Visit Ewald’s Venus Ford at 2727 E Layton Ave. Cudahy, WI 53110. Or give us to schedule an appointment at (414) 236-7442. We provide the Wisconsin areas of Cudahy, Milwaukee, Greenfield, Waukesha, and more with a great selection of new and used Ford cars for sale. So, stop in today to find your next vehicle at Ewald’s Venus Ford.